Healthcare Providers Insurance Company (HPIC) & HPIC RRG, sponsored by the Mississippi Hospital Association (MHA), has appointed Wendy D. Knight to the position of Chief Executive Officer. In her new position, Wendy will also be involved in the management and operations of other insurance-related enterprises including: HERE, a workers’ compensation company; MHA Solutions, an unbundled claim and risk management services providing specialty services to self-insured hospitals and systems; and MHA Solutions Insurance Agency, which provides a number of tailored insurance products for the health care industry. Ms. Knight most recently served as Vice President of Finance-Corporate Insurance Operations for Novant Health. She holds a B.A. in English from Duke University and an Master’s in Health Administration from the University of North Carolina at Chapel Hill. As an cycling and outdoor enthusiast, she resides in Ridgeland, MS at the doorstep of the Natchez Trace Trail & Parkway, Old Trace Park and Ross Barnett Reservoir. Brenda Johnson, director of human resources for North Mississippi Medical Center-West Point, was recently named the Distinguished Service Award winner by the MHA Society for Human Resources Administration. She has been with the hospital for 34 years. Brenda holds a business degree from the Mississippi University for Women and an MBA from Mississippi State University. She attained her Professional in Human Resources certification in 1995. Currently, she serves as President of the Mississippi Hospital Association Human Resource Society as well as serving on the Board of Directors for the Golden Triangle Human Resource Society. She is also active in the United Way of Clay County (board member), Alzheimer’s Association, Relay for Life, Take a Swing at Cancer and Make a Wish Foundation. Memorial Physician Clinics welcomes James Hardwick, MD, FACC, in the practice of cardiology in association with Bassam R. Baroudi, MD, and Shwan Jalal, MD, at Memorial Physician Clinics, Coast Heart Institute, 4215 15th Street, Gulfport. Dr. Hardwick received his Doctor of Medicine from Wake Forest University/Bowman Gray School of Medicine in Winston Salem, NC. He completed his internship at the University of Florida at Orlando Regional Hospital, and internal medicine residency at the University of Alabama, Birmingham. 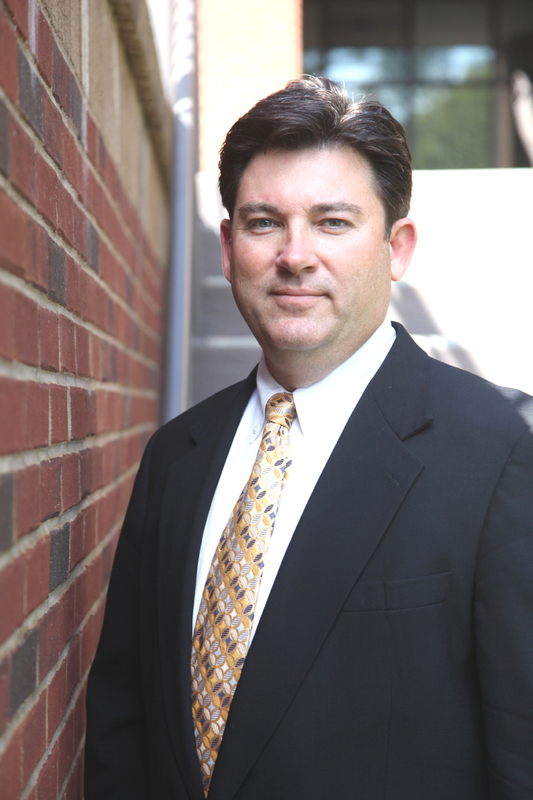 Dr. Hardwick was fellowship trained in Cardiology at Louisiana State University in New Orleans. Dr. Hardwick is board certified in Internal Medicine and Cardiovascular Disease. To schedule an appointment, call (228) 863-5211. The Mississippi Hospital Association’s Society for Health Care Marketing and Public Relations presented the 31st Annual Maggie Awards during an awards luncheon on Nov. 8 at The Place in Ridgeland. The Maggie Awards program recognizes outstanding marketing and public relations work submitted by professionals from the health care sector in Mississippi. During the awards luncheon, Jess Brasher of Select Specialty Hospital was named the Senior Professional of the Year by the society. This year, there were more than 100 entries submitted from hospitals, health systems and other health care organizations from across the state. Only the top two entries in each category win awards, and in order to receive a Maggie Award, an entry had to rank “excellent” in the judges’ scoring system. The Maggie Award gets its name from the magnolia flower featured on the top award. OCH Regional Medical Center won Best of Show Overall for their OCH is…campaign. King’s Daughter Medical Center won Best of Show Print for their Joint Replacement program guide. Best of Show Electronic went to Forrest General Hospital for their 100 Years Lived Well video. Other hospitals and systems honored during the awards center include Pine Grove Behavioral Health & Addiction Services, Winston Medical Center, South Central Regional Medical Center, Copiah County Medical Center, Magnolia Regional Health Center, Baptist Memorial Hospital-North Mississippi, and North Sunflower Medical Center, Baptist Memorial Hospital-Golden Triangle, and Garden Park Medical Center. See a PowerPoint with all of the winning entries here Download hi-res images of the winners here. Harold Whitaker, former long-time North Mississippi Medical Center-Eupora administrator and current Webster Health Services board member, was named the 2018 Distinguished Hospital Trustee of the Year by the Mississippi Hospital Association. The presentation was made at MHA’s 87th annual Leadership Conference, held June 5-8 at Point Clear, Ala. The award is given to an individual who has demonstrated significant contributions in the field of hospital governance over a sustained period of time. A selection committee appointed by the chairman of the MHA Board of Governors determines the recipient from nominations from hospital board chairmen, other trustees and hospital chief executive officers. The Trustee of the Year is featured in a video presentation shown in an awards presentation during the Trustee Appreciation Breakfast. Whitaker retired in 2005 after serving for 33 years as administrator at NMMC-Eupora. He was named board chairman for Webster Health Services in early 2006 and has served on the board since that time. Whitaker graduated with a bachelor’s degree in public accounting from Mississippi State College, now Mississippi State University, in Starkville in 1956. He moved to Eupora in December 1972 as administrator at what was then Webster General Hospital. Under his leadership, the Eupora hospital underwent two major construction projects, including a $9.5 million expansion project in 2002. In 1979, the Eupora facility underwent a $1.36 million expansion and renovation project. Prior to his move to Eupora, Whitaker served as supervisor of the Health Facilities Certification Unit of the Mississippi State Board of Health. In 1959, Whitaker began his career in hospital administration as assistant administrator of the Greenwood LeFlore Hospital. He served as administrator at Field Memorial Community Hospital in Centreville and Tallahatchie General Hospital in Charleston. Hospitals in Mississippi and nationwide are experiencing higher-than-usual activity due to a particularly harsh flu season. This has led to overcrowding in emergency rooms and a shortage of hospital beds. Mississippi is one of 22 states experiencing very high levels of flu, according to the Centers for Disease Control and Prevention (CDC). Mississippi is seeing the highest rate of cases in young children and those under 25. The number of patients in the hospital for flu-like illness nationally has doubled in the past two weeks and is higher than in recent years - about 35 percent up from the same time last year. Most of the people who are hospitalized for the flu are over the age of 65. To protect patients and visitors, some hospitals in the state have limited visitors and restricted access to public waiting areas. Patients with minor flu-like symptoms are encouraged to contact their primary care providers for guidance rather than immediately seeking care in hospital emergency departments. Anyone with a fever of 100 degrees or more, a cough and/or sore throat is considered to have flu-like symptoms. February is when flu season is usually the worst, so it’s not too late to get a flu shot! Those 18 and under who are eligible for the Vaccines for Children program can receive flu vaccination at county health department clinics for $10. Insurance, Medicaid and Children’s Health Insurance Program (CHIP) is accepted for children’s flu shots. Even without insurance, a flu shot will generally cost less than $20 out of pocket. To locate a county health department clinic in your area or for more information on flu, visit the Mississippi State Department of Health website at www.HealthyMS.com/flu. The Mississippi Hospital Association’s Society for Health Care Marketing and Public Relations presented the 30th Annual Maggie Awards during an awards dinner on Nov. 2 at the MHA Conference Center in Madison. The Maggie Awards program recognizes outstanding marketing and public relations work submitted by professionals from the health care sector in Mississippi. During the awards dinner, Lauren Rutland of Copiah County Medical Center was named the Junior Professional of the Year by the society. This year, there were almost 90 entries submitted from hospitals, health systems and other health care organizations from across the state. Only the top two entries in each category win awards, and in order to receive a Maggie Award, an entry had to rank “excellent” in the judges’ scoring system. The Maggie Award gets its name from the magnolia flower featured on the top award. Out of the submitted entries, 22 Maggie Awards and 17 Awards of Excellence were selected. Baptist Memorial Hospital-Golden Triangle won Best of Show Overall for their HeartScore Screen Fundraising Event. Forrest General Hospital won Best of Show Print for their A Lifetime of Caring Community & Annual Report and Best of Show Electronic for their My Next Heartbeat Campaign. Other hospitals and systems honored during the awards center include King's Daughters Medical Center, Pine Grove Behavioral Health & Addiction Services, Winston Medical Center, South Central Regional Medical Center, Copiah County Medical Center, Pine Belt Mental Healthcare Resources, OCH Regional Medical Center, and North Sunflower Medical Center. See a PowerPoint with all of the winning entries here. Download hi-res images of the winners here. Elissa McCool was recently named Communications Coordinator for the Mississippi Hospital Association. McCool will report to the Vice-President of Education and Public Relations, Shawn Rossi. As the Communications Coordinator, McCool will be responsible for the implementation of communications for MHA and its subsidiary companies, content development for the MHA web site and social media channels, and the coordination of the day-to-day operations of the Public Relations Department. McCool recently earned a Bachelor of Business Administration in Marketing from Jackson State University. She is a member of Alpha Kappa Alpha Sorority, Incorporated. McCool currently resides in Jackson, Miss. She can be contacted at emccool@mhanet.org. March of Dimes, whose mission is to improve the health of babies, is pleased to advance maternal and infant health by supporting Mississippi Hospital Association (MHA) Health, Research and Educational Foundation, Inc. with a $25,000 community service grant. The program will reduce and or prevent Early Elective Deliveries (EED) in 13 birthing hospitals in Mississippi. The objectives of this project will be to support hospitals and physicians as they adopt and implement hard stop policies preventing early delivery without medical reason. We will provide education to patients, families, and health care workers on the potential risks of EED and provide technical assistance for data collection, reporting and analysis of data. The March of Dimes funds programs that help moms have full-term pregnancies and healthy babies. This includes financial support to research and education that will help moms before and during their pregnancies. It also includes working with local medical groups and organizations to improve prenatal care and newborn screening. In 2016, March of Dimes awarded $45,000 to community agencies throughout Mississippi. “LaNelle Weems, Director, Mississippi Center for Quality and Workforce (MCQW), will spearhead this project within the MHA Foundation. We will use the March of Dimes grant as seed money to educate and support hospitals to eliminate Early Elective Deliveries in Mississippi. MCQW has relevant experience in this important EED reduction work and is pleased to partner with the March of Dimes to expand its impact. With the highest premature birth rate in the nation, Mississippi must focus on high-impact improvements for the health of babies born in the State” said Dr. Marcella McKay, President and CEO of the MHA Health, Research and Educational Foundation, Inc.
“The potential impact of MHA Health, Research and Educational Foundation, Inc. will help us prevent premature births, birth defects and infant mortality,” said Marilyn Johnson, State Department of Health Maternal Child Health Block Grant manager and March of Dimes MCH Committee Chair. "We are pleased that our successful fundraising efforts, such as March for Babies, make it possible for us to support this new, locally focused effort to help give every baby a fighting chance." 55,370 full time job equivalent employees. Hospitals also created an additional 50,430 jobs outside of their facilities. These numbers tally only a fraction of the economic impact of the hospitals on the state’s economy. As the hospitals spend dollars for operating and capital expenditures, they create jobs and payroll in other businesses in the economy. 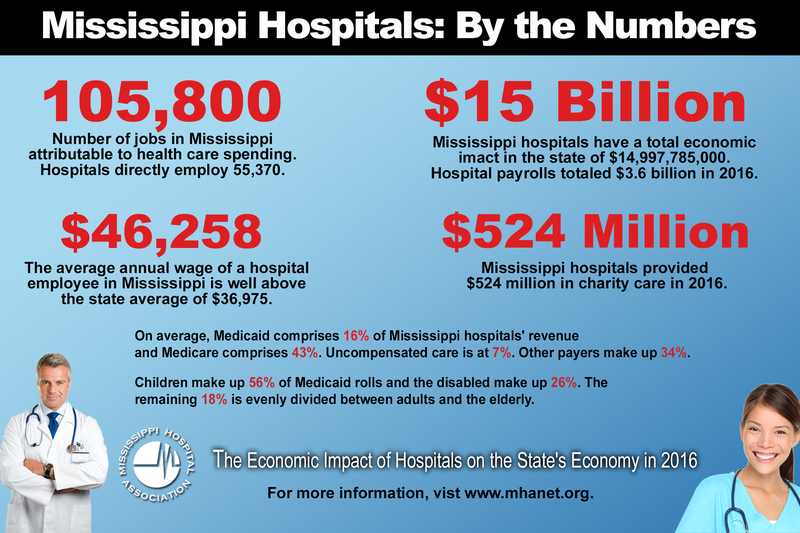 In total, 105,800 jobs are created by hospitals alone in Mississippi due to hospital employment, operational activities, and construction activities. This statewide economic impact report was conducted by DataGen. DataGen analyzed not only the direct economic contribution of hospitals, but also calculated how many jobs and how much income and tax revenue is created as a secondary effect. The jobs and payroll generated in other businesses are measured with employment and income multipliers derived for Mississippi. "As Mississippi leaders continue to consider the state’s economic priorities and look for ways to create more jobs, they are encouraged to keep in mind the importance of hospitals and health systems to the state economy," said Timothy H. Moore, MHA President/CEO. "This impact report shows that health care is much more to Mississippi than hospitals, clinics, and doctors. The ripple effect created by the health care sector stimulates every aspect of Mississippi’s economy." An often-overlooked aspect of hospitals in economic development is the ability to attract and recruit big business based on the availability of quality health care. Company surveys reveal that managers often look at health care as an important issue in locating facilities. The existence of a strong health care network can lower health care costs for firms and their employees and provide value-added services for firms such as occupational health. Also, retirees and workers are more likely to choose a location that has access to quality health care. Mississippi hospitals directly provide over $3.6 billion in salaries and benefits and generate another $3.3 billion annually in salaries through other jobs.